I had come across this recipe a while ago and it had been on my to-do list for a while. And honestly, the truffles were one of the yummiest I have had :)) .. no self praise but they truely were awesome. The original recipe is from Taste of Home and because i was keen to participate in Priya's Bookmarked Recipe - Every Tuesday event, I chose to do so today..
1. Melt Chocolate Chips and Condensed Milk together in a double boiler .. till they are well blended together. 2. Chill the mixture in a refrigerator for about 1.5 to 2 hours. Alternatives like powdered cocoa, colored sprinkles etc could be used. 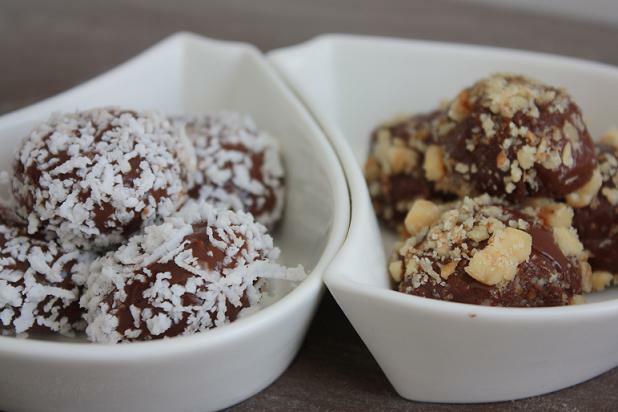 Sinful treats ~ love love love truffles! chanced upon your space while blog hopping...very interesting space you have..love your presentation..
chocolate truffles sounds scrumptiously tasty.. This looks fantastic. Nice one. 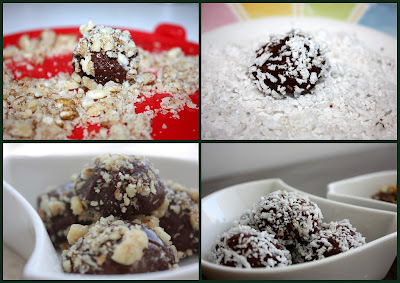 Hi Riddhima.. Lovely Truffles . Very rightly said that blogging is a whole new world of assorted experiences.. We live an entirely new world here ..